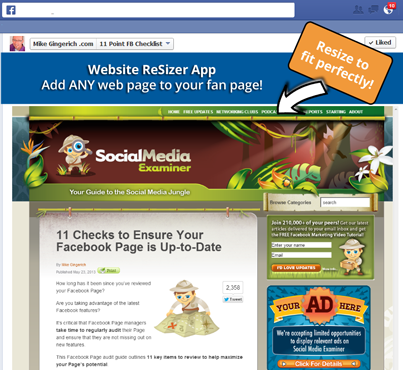 Website ReSizer, available to businesses and organizations of all sizes, brings in perfectly sized web pages to a Facebook tab or within a web page. It’s a solution for every company that spent money investing in their website and then wished they had the same functionality on in other locations. No more gaudy iframe scroll bars! Most websites are at least 1000 pixels wide while Facebook tabs maximum width is 810 pixels. This difference led to iframed sites in tabs that had bad scroll bars and poor user experience. NO MORE! Now, add any web page, shopping cart, landing page, blog, etc.and use the TabSite Website ReSizer app to make it fit! Allow fans to shop from your website right on Facebook! That's just one use! The next step would be to scroll down the page and stop at the Social Apps section. Then, locate for the Web ReSizer App. When you have already ticked the Add+ button, the page loads and eventually leads you to the App Builder settings page. You are required to enter in a website URL and your desired height of the image. Upon clicking the "Refresh" button, the site image will display in a designated preview area below. You can adjust the size of the image by the use of a built-in slider. NOTE: A secure (https) URL is highly recommended to ensure it is visible in all browsers. The Facebook Settings allow your app to be published to a Page tab. Simply indicate the fan page you'll be linking, your preferred tab name, a recommended 111 x 74 logo image and finally, an icon to represent your tab. The first sub-setting is Social Sharing Options where you are able to share the app to different social media platforms. To name some, we have Facebook, Twitter, Google+ and LinkedIn. You'll just have to adjust it to where you want it to be placed, either on the top portion, the bottom portion or both portions. Being the Administrator of the page, you are in-charge of the Facebook and Google+ Shares as well as pre-populating the tweets on Twitter. All you have to do is fill-in the title, description, upload a 600 x 315 pixel image. The social networks you have included for sharing will use this image. Using the Blog/Web Callout Tool, you are able to create your personal call-out for promotion. An embed code will be automatically-generated once you upload a photo. Site visitors will be brought to your Facebook tab when they click this image. 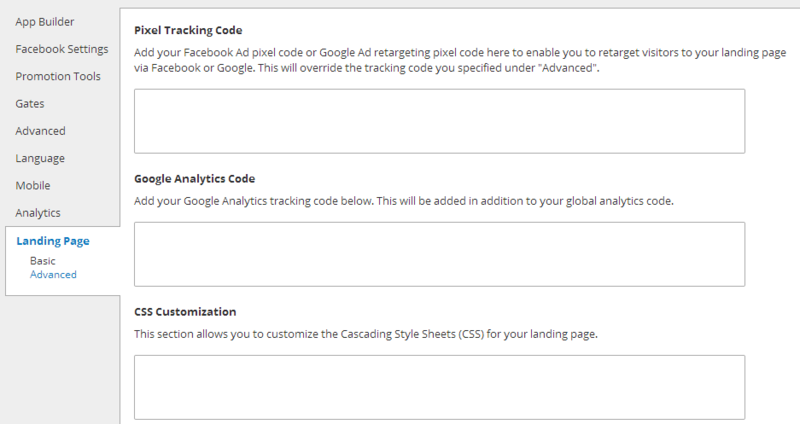 The Post Planning sub-setting is the third one from the Promotion Tools. It lets you schedule posts coming from various social media platforms namely Buffer, Hootsuite and Buffer. The provided URL is the one displayed by the app for the reason that it is responsive to PCs and mobile-users. It forwards you to your created FB tab. The fifth setting is called Advanced. Upload an image of 810 x 75 pixels, modify the link color, the text color and the background color. The CSS of your app has a default style which you can also set to modify. The first sub-setting for Language is called General. The options that comprise this section are the Like button language and Tweet button language. These buttons are in the drop-down menu format with several language selections. Even if the default language is English, you can still change it from the drop-down list and activate it to your social media platforms. Underneath these menus is a blank field where you can modify the text you would like to display in the Share button. You can fill-in the input information on the input boxes for the texts you want to display for your Comment System in the second sub-setting. This sub-setting have two parts, the first one is the Comment System Language Settings and the second one is intended for the Errors. This allows you to customize text and modify to the language you need. The seventh setting is for Mobile. There are two Global options namely "Render desktop version on mobile" and "Use like gate on mobile devices." It allows users of mobile devices to utilize the content of the app on their mobile devices or display the similar details. Remember that not all apps possess mobile differences. The final setting is Analytics. It offers the details on what time of the day the app performs better. 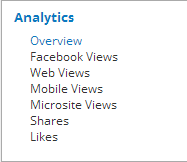 The graph representations that can be viewed in this setting include Overview, Facebook Views, Web Views, Mobile Views, Microsite Views, Shares and Likes. This is how the Overview graph displays on the screen. 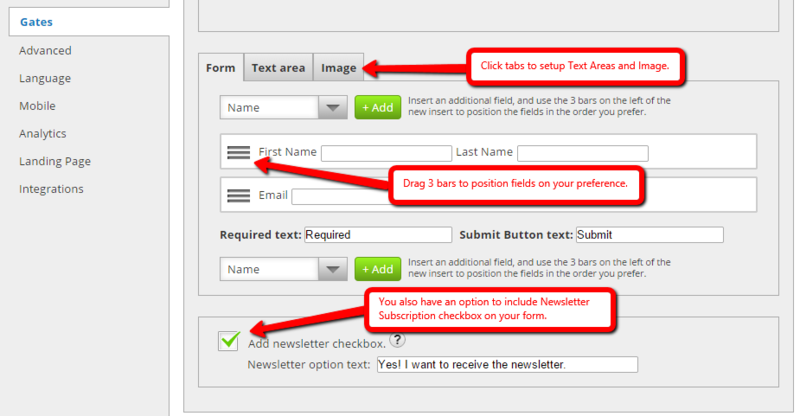 After modifying the settings, simply click the "Save" button located at the bottom-right corner of the page. Upon pressing the "Save" button, the page will lead you back to the My Apps tab. All the apps you have created can be viewed here. In keeping with your Plan features, you are able to create, test and publish the apps. Simply click the "Publish" button to undergo the publishing process of the Website ReSizer App.